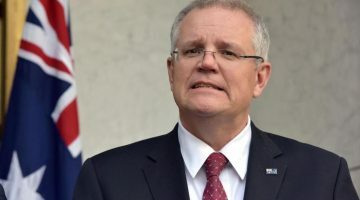 The US government has said it will resettle up to 1,250 refugees from Australia’s offshore detention islands of Manus and Nauru, but stressed they will all undergo “extreme vetting” before being accepted. Sean Spicer, White House spokesman for the new president, Donald Trump, confirmed the deal – brokered by Trump’s predecessor Barack Obama – would be honoured, and for the first time, confirmed the number that could be accepted under the plan. “The deal specifically deals with 1,250 people, they’re mostly in Papua New Guinea, being held,” Spicer told a White House briefing. “Those people, part of the deal, is that they have to be vetted in the manner that we’re doing now. Trump’s executive order last week suspended the U.S. refugee program and restricted entry to the United States from majority-Muslim countries Iran, Iraq, Libya, Somalia, Sudan, Syria and Yemen, casting doubt over the deal with Australia. Following days of global confusion about how the bans would affect Australians who also hold the citizenship of one of seven listed terror-prone countries would be affected, Prime Minister Malcolm Turnbull announced that Australians would not be affected. 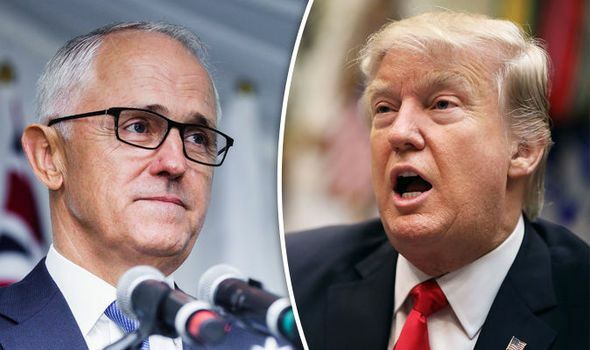 Australian prime minister Malcolm Turnbull said on Wednesday that Donald Trump has personally committed to honouring a refugee resettlement deal with Australia. “The Trump administration has committed to progress with the arrangements to honour the deal … that was entered into with the Obama administration, and that was the assurance the president gave me when we spoke on the weekend,” Turnbull said at the National Press Club in Canberra. The special “exemption” for Australian dual nationals from Donald Trump’s tough new travel bans announced by the Turnbull government on Tuesday turns out not to be an exemption at all. Dual nationals in nearly every other country across the world will in fact enjoy the same continued access to the US, according to a new statement from the US embassy to Fairfax Media. 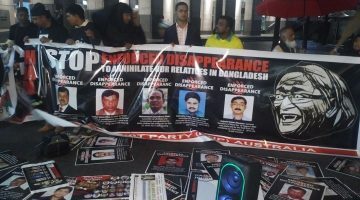 Australia’s hardline immigration policy has drawn international condemnation from the United Nations and global rights groups. Some 1,161 men, women and children remain in indefinite detention in Manus Island and Nauru as of Nov. 30, the most recent data from Australia’s Department of Immigration shows.